With over 30 vineyards in New Hampshire YCN recently visited one of the newest, Black Bear in Salisbury owned by Kelly and Ted Jarvis. 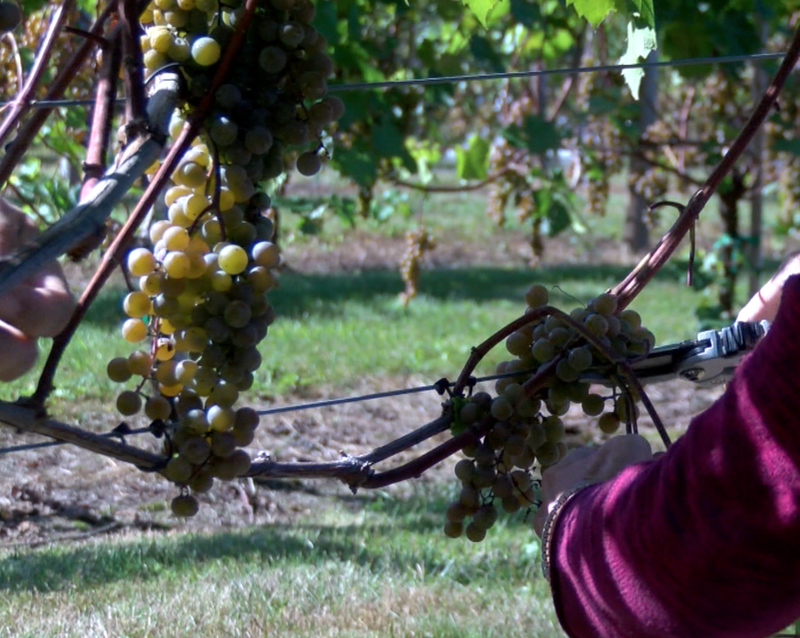 In 2008 they planted their first vine and today are harvesting grapes to make into a wonderful Granite State product. Let’s learn more about the process of going from grape to glass. Wow, what a great story and congratulations to Black Bear and their owners Kelly and Ted for being recognised as the 3rd best vineyard in the state … with their short history, already! If you’re interested in visiting or want to know more, just check out their website for information. Wow what a great story and so True. I am a native of NH and visit family every Year.Last summer I was able to visit this Beautiful Winery Black Bear .Iam from VA and have seen Winery’s here.But this is one Black Bear has them all beat Very unique with the family inspiration.